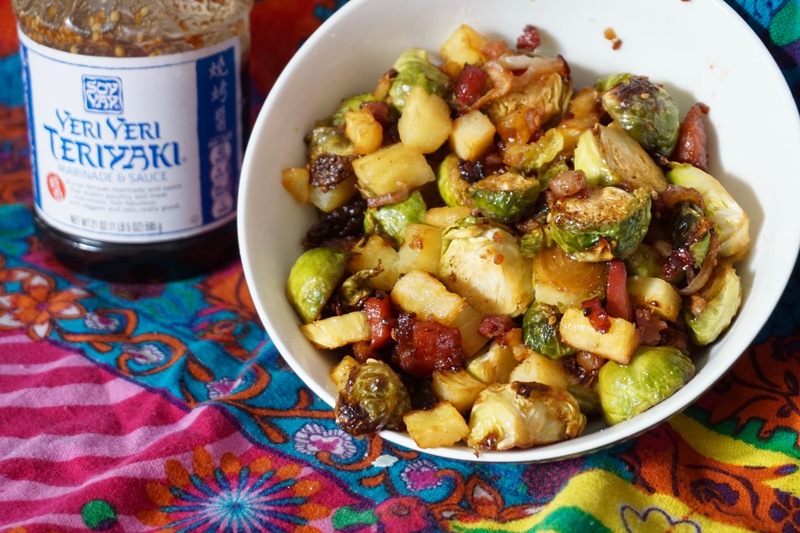 Ok, who else here is a pretty big fan of Brussel sprouts? I freaking love them and I'm constantly thinking of ways to incorporate them into our meals. I probably could eat them everyday if given the chance. Thankfully the kids also are fans of the the crunchy, green mini cabbage goodness so I don't get any push back when they grace our table. Most recently, I thought they could use a little oomph and decided to give them the hook up with the remaining Soy Vay Teriyaki we had left over from this post. If you haven't made the pizza yet, do it and do it asap. Thus my brussels creation was born. Basically I took most of the ingredients from the pizza and mixed them in with the brussel sprouts and gave them a good roasting. Holy crap guys, I have to say it might be even better than the pizza. The bowl was emptied out within minutes and disappointment spread across everyone's face when we realized we had eaten the last of it. So, I think it's safe to say it was a major win. I mean, how do you really lose with savory pancetta, sweet pineapple and the tangy goodness of teriyaki. The answer is, you don't. The best part is it can be enjoyed anytime of day. Want a new brunch recipe? Done. Need a quick dinner idea? Done. It works for all the above. In a large bowl mix all the ingredients together and toss until fully coated. 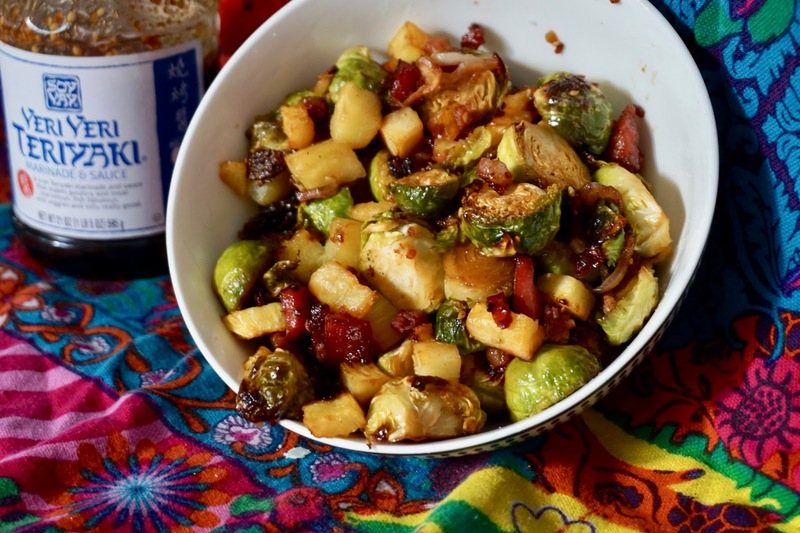 Spread evenly on a cookie sheet and roast for 15-20 minutes or until the Brussel sprouts are browned and lightly crisped.